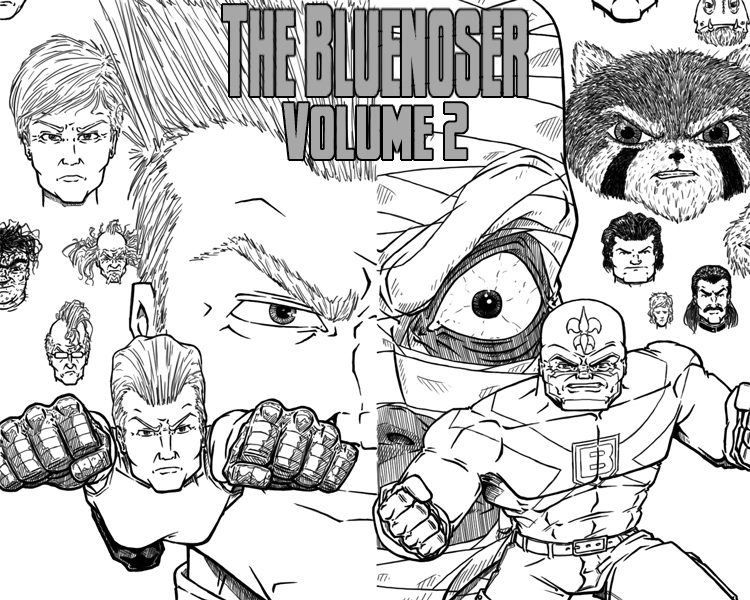 This will be the only “cover page” I do for volume 2. There may be the odd sketch page or something if I need a break or something but I think the cover pages were unnecessary and just made you wait two weeks for a real story update. And it’s a little embarrassing but i actually messed up on the dimensions for this page, it’s not as wide as my usual pages. I didn’t notice until I was done and decided just to let it go. Regular page updates start next Wednesday.